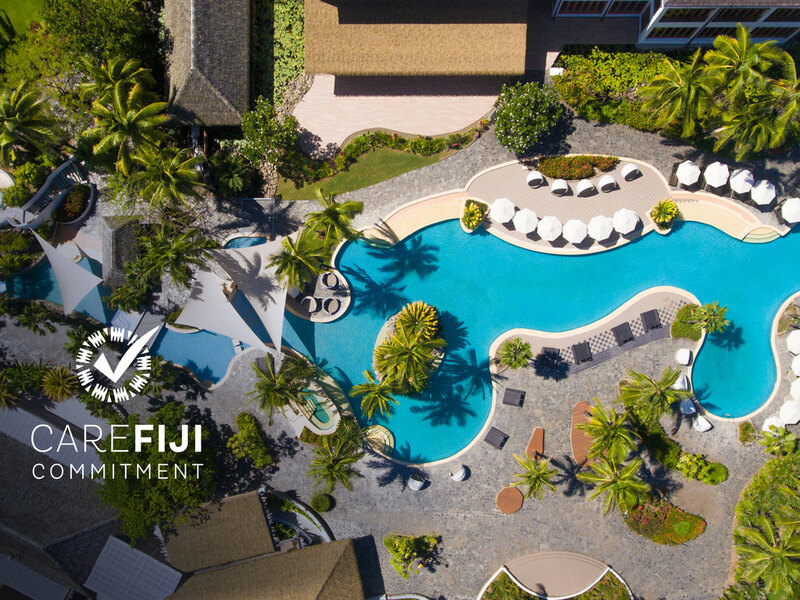 Sofitel Fiji Resort and Spa is located on beautiful Denarau Island. This five-star Fiji resort overlooks the beachfront, adjacent to the world class Denarau Golf and Racquet Club. Our Fiji beach resort offers 296 rooms, each with a private balcony. Other features at this Fiji luxury resort include the newly built 'adults only' Waitui Beach Club, a wedding chapel, swimming pools, three restaurants, four bars, an international health spa, and the largest ballroom on the island. Waitui Beach Club, the newest addition to the resort is an upmarket, exclusive, adults only area. During the day, relax by the pool with personal butler service, or indulge in a range of health, and wellness options. Service at Waitui Beach Club extends to the public from 6PM where you can enjoy a healthy selection of well-balanced dishes from our tapas menu, delicious sunset cocktails, woodfired pizzas and a range of prestige champagne from the Veuve bar. This Signature restaurant offers seating for up to 70 guests who truly enjoy the art of fine food and wine. Located on the ground floor of the central building. Elegant decor with air-cond or open aired (weather dependent). With a fresh and inspired approach to food, Lagoon is a fresh food buffet restaurant featuring live cooking stations. A family friendly restaurant, Lagoon even offers its own childrens buffet. Salt is the ultimate in alfresco dining, with a waters edge location. Catering up to 120, guests can choose from an extensive variety of International cuisine. La Parisienne is a sidewalk French-style café serving up simple, light and fast food. The café offers great coffee, café style breakfasts, stylish lunches and a delicatessen perfect for those in transit or on the go. Whether its for a casual drink, to read a book or enjoy a cocktail, the Breeze Bar has elevated mesmerizing view over the pool to the Pacific Ocean. Open till late with live music. Set by the ocean's edge, Salt provides a casual location for a refreshing drink, cocktail or snack after a relaxing swim in the pool.